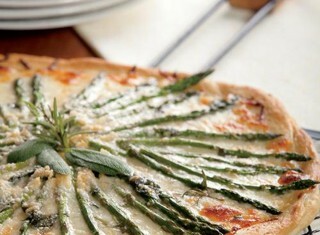 A healthy pizza with fresh asparagus and homemade dough makes for a great appetizer or meal. Our sweet potato casserole goes the opposite direction of the typical requisites of marshmallows and brown sugar. 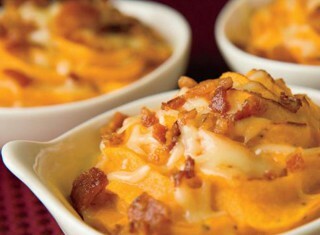 Instead, this savory side dish gets its flavor from bacon, rosemary, shallots (a variety of onion) and Gruyere cheese. 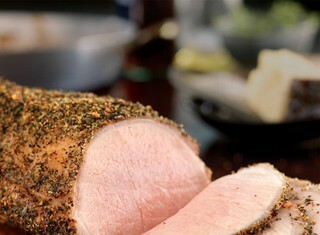 This flavorful rub will perk up a plain pork loin. Serve as a holiday entree. 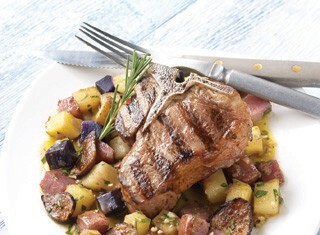 Serve a hearty meal with flavorful grilled lamb chops and an array of brilliantly colored potatoes. 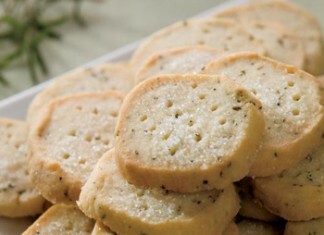 Perfect for brunch or afternoon tea, these light cookies are a great blend of sweet and savory. 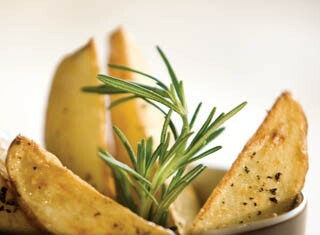 Potato wedges coated with thyme, oregano and rosemary are roasted until golden and tender. 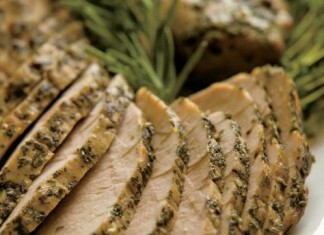 A four-herb and garlic marinade brings out the flavors of this lean cut of pork. 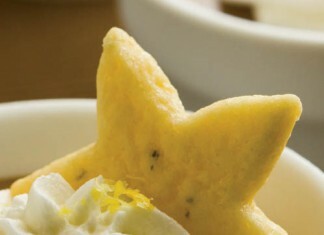 These herbed shortbread cookies can be decorated with frosting or topped with whipped cream.